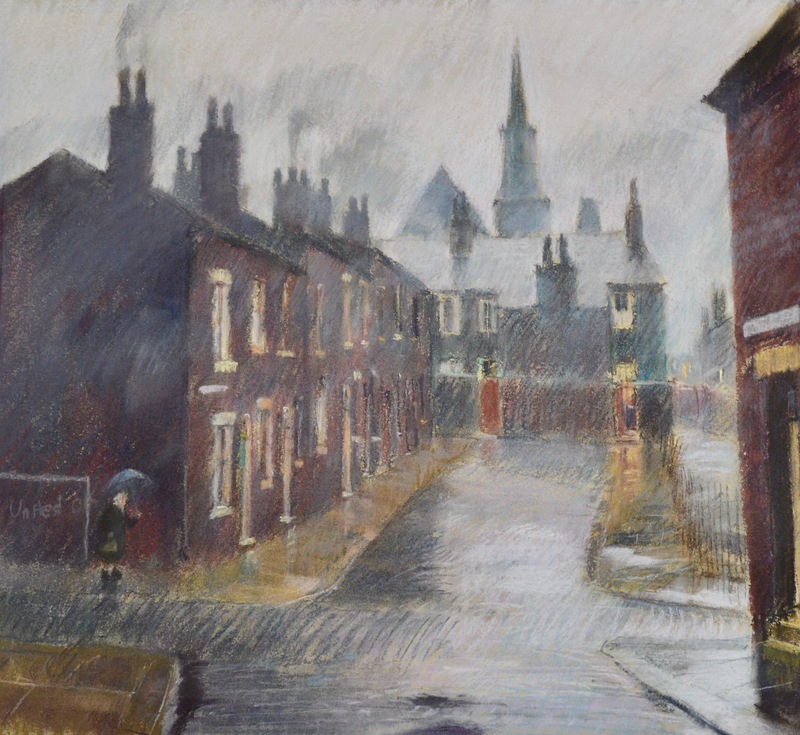 Bob Richardson was born in 1938 in Salford, Lancashire. He studied for five years at art school and thereafter, embarked on a career in advertising. 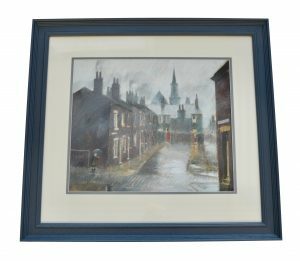 Whilst in full-time employment, Bob enjoyed a run of successful exhibitions and in 1975 decided to become a professional artist. 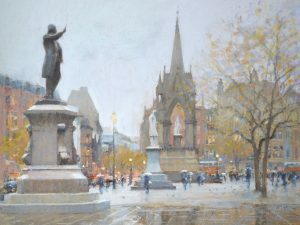 Richardson is a proud member of the Pastel Society and has regularly exhibited his art work at shows such as the Confederation of British Artists Exhibition and the Mall Galleries in London. It was at the aforementioned show in 1991 that Bob received the Grand Prix award. Richardson is able to capture the onlooker with his delicate but highly accomplished compositions. Each piece is beautifully balanced with subtle application of colour. 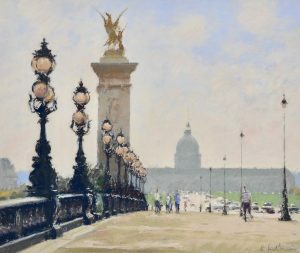 His architectural studies, street scenes from around Europe evoke a sense of romanticism. 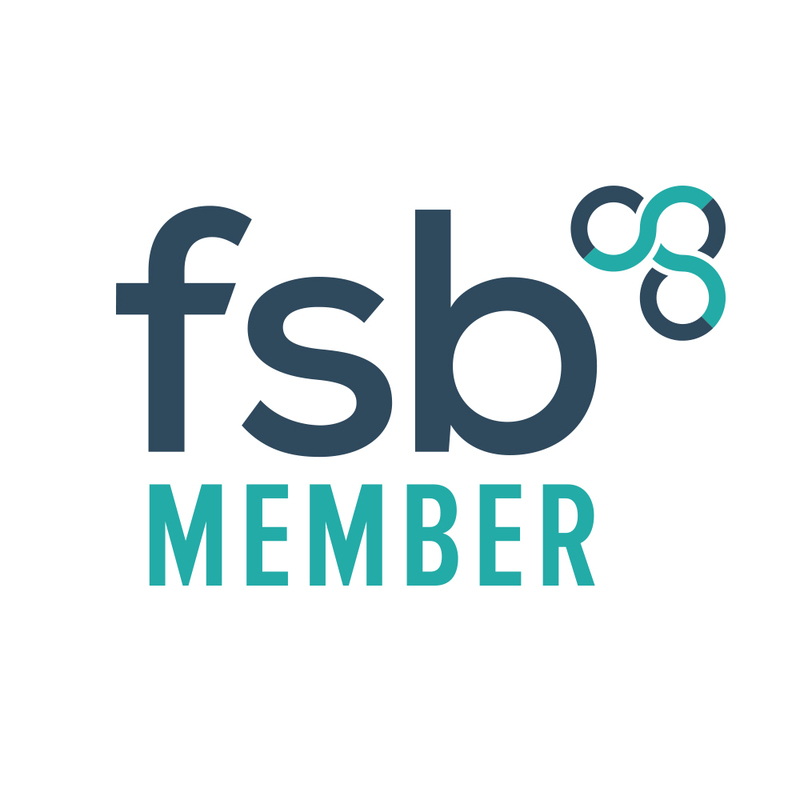 Bob Richardson’s art work is housed within some of the leading UK corporates such as Walker Crisps, BMW UK, Boddingtons Brewery and the Salford Art Gallery. His work remains highly sought after by British and European collectors. Enquire about "Charlestown, Pendleton, Salford (NEW)"
View "Charlestown, Pendleton, Salford (NEW)"